Oscar Peterson is one of the Gods of the jazz piano universe, playing and recording for over 60 years. This modest Canadian was discovered by the famous producer Norman Granz. Thanks for that, Norman! Peterson has played with so many great artists. The world-famous Ella and Louis albums wouldn’t be the same without him! Obviously you could fill at least 10 blog posts with him and his enormous discography (maybe I should start that at some point, let’s see). 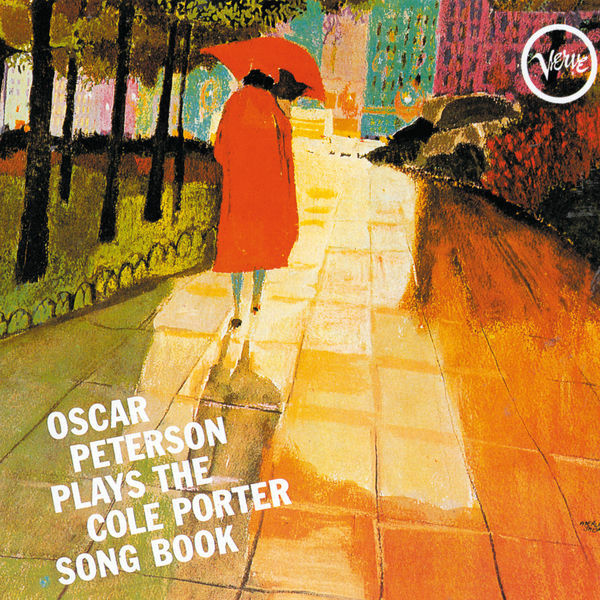 I’ve already listed Oscar Peterson in my 25 Essential Jazz Albums. There I mentioned his MPS sessions in the late 1960s, where he plays with several different bass players and drummers. However, his best known trio formation is probably the classical setting with Ray Brown and Ed Thigpen. This is classical swinging piano trio, which really lives from the pianistic brilliance of Peterson with the enormous swing of Brown. There are many nice albums from the late 1950s to the early 1960s on Verve (Night Train, West Side Story, the slightly overplayed We Get Requests), and obviously the sister albums from the “Songbook” series. I already love the cover art, which is very unlike most of his other albums of the period (but repeated on other “Song Book” albums). Unfortunately, the recent download I purchased of this doesn’t come with any booklet, and the original CD I ripped is buried somewhere in my basement, so I wasn’t able to find out who did this, if somebody could point me to a source. I know many jazz aficionados get bored by standards. I don’t. I just love when you recognize a tune, and then see what the musicians do with it. Call me simple-minded. I’ve Got You Under My Skin, In The Still Of The Night, Love For Sale, Just One Of Those Things, I Love Paris, It’s De-Lovely, etc. etc. One more beautiful than the other. If you’re into avantgarde jazz, look elsewhere. This is as mainstream as it gets. But who cares? It is immensely enjoyable.